Change is in the air at this year’s annual Sibos conference in Toronto. Hosted by the Society for Worldwide Interbank Financial Telecommunication (SWIFT), the conference provides a forum for the world’s biggest corporate and investment banks to debate technological, regulatory and industry trends affecting the transaction banking business globally. This year’s conference will see lively debate about topics that have manifested themselves as a result of the crisis—regulations like Basel III, for example, which requires banks to hold a higher percentage of capital on their balance sheet. Attendees at this year’s conference will debate the ongoing impact such rules are likely to have on corporate lending and business activities, such as trade finance. 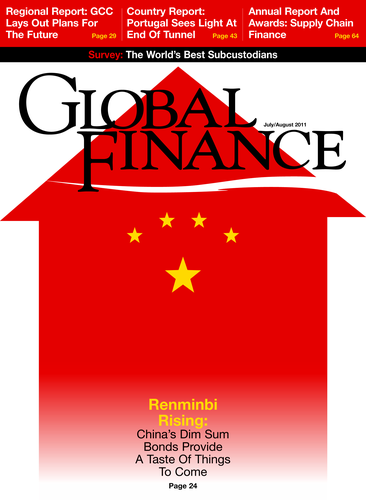 One banking realm undergoing sweeping change is trade finance. Concern centers on leverage ratios proposed under Basel III. These would lead to trade finance—currently considered to be short-term working capital with a low rate of default—being 100% risk-weighted and therefore subject to more onerous reserve requirements. Technology is a key part of that growing role, with automation of trade documents such as invoices and purchase orders enabling the banks to capture information that can be used to extend financing to suppliers. Technology also levels the playing field, making it easier for smaller banks to compete with larger banks—and for nonbanks to start encroaching on relationships and parts of the business banks traditionally owned. At this year’s Sibos conference, banks will dare to contemplate whether they have a role to play in the future of money. Will they become just “processing pipes” with most of the value stored and held by social networks? Can they leverage computing in the cloud to reduce time to market for new applications and solutions? How can they leverage new technologies such as mobile banking to remain relevant to customers that own smartphones and want to use them not only in their personal life but for business as well?